This week Iran lost one its most senior revolutionary figureheads: Ayatollah Akbar Hashemi Rafsanjani. Hailed a hero and visionary by his contemporaries, the mainstream has nevertheless opted for slander to angle its forthcoming neocon argument better. Readers beware: Google armchair analysts are on the prowl, and they have opinions aplenty to share. Yes, I am referring to all of you instant Iranian experts, whose understanding of the inner workings of Iran’s Islamic Republic have been limited to the corridors of Western powers. I must have missed the memo that specified that upon the demise of any state official one is entitled to revert to opportunistic politicking to somewhat justify unpalatable policies. But before I get into that, allow me to paint you the latest picture … another euphemism for the Western-made misinformation campaign. 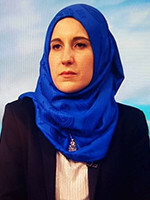 If you have managed to somehow miss the legion of opinions that flooded both the press and social media on the pending collapse of the - oh so evil - Iranian state on account one its most senior officials suffered a fatal heart attack, allow me to fill in some of those blanks with facts, as opposed to phantasmagorical fabrications. Ayatollah Akbar Hashemi Rafsanjani unexpectedly died this past Sunday, sending an entire nation into mourning. 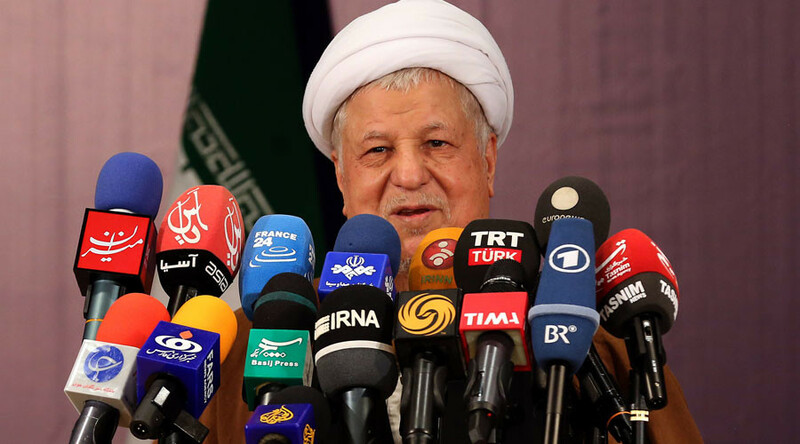 A towering figure in both Iran’s religious and political worlds – note that when it comes to the Islamic Republic the two often meet, overlap, and altogether blend, never to clash - Ayatollah Rafsanjani was also one of the architects of Iran’s revolution against the Shah. To put it plainly, the former Iranian President and close friends to both Ayatollah Ruhollah Khomeini and Ayatollah Ali Khamenei was a legend in his own right. It is today as a hero and martyr of the revolution that he was laid to rest in Tehran’s grand mausoleum. Mainstream media would now have you believe that his passing cracked open Iran to lay bare those dynamics which now will unravel its seat of power, and in a plume of magic smoke set the neo-liberal world to right. Try again! Iran is not unraveling at the seams, that would be Washington. Tehran’s seat of power is firmly anchored on popular legitimacy. Iran, dear readers, may stand in mourning, but it is not lost at sea. And however difficult Ayatollah Rafsanjani’s loss will be felt on a personal level, Iran’s institutions are much stronger than any one man. Assuming weakness on account one cannot grasp what dynamics truly animate the Islamic Republic is simply childish, not to mention arrogant. Iran has been drowned in misapprehension! Now to the half-thought-out ethnocentric political opportunism. How will Washington demonize Iran today? Don’t you just love 2017 already? We are not half-way through our first month and already our White House paid clowns are throwing a media party! Let’s see, there’s been the usual post-mortem bashing and facts manipulating. It is indeed easy to argue with the dead and slap broad statements on those areas of their lives only they can comment on. At this point in my reading, I’ve almost choked on my breakfast cereal! Instability, religious fascism, fierce rivalry, Oh my, it doesn’t look good at all. There you have it, deceit, unquenchable thirst for power, nepotism, treason, blind ambition, and hypocrisy. While I will not argue that Ayatollah Rafsanjani had differences of opinion with others in leadership positions – this is what happens in a pluralistic society, people debate different ideas, there was never any real antagonism or fracture with Iran’s inner circle. The simple fact that the Ayatollah still held an official position at the time of his death speaks volumes for his standing in Tehran. While Washington may find this concept tenuous to grasp, there are such things as loyalty and recognition for services rendered to the nation. Also, I believe that Ayatollah Khamenei’s comments upon the death of the man he called his “oldest friend” stand testimony to the ties which over decades bounded those two figures. But let’s put this aside for a second to consider the narrative behind the slander, or as I call it a gas-lighting bonanza. Mainstream is only ever trying to use Ayatollah Rafsanjani’s death, and people’s propensity to slander, to sell its aggressive stance on Iran’s historic nuclear deal. Remember that little agreement several countries signed to end America’s paranoia? — RT America (@RT_America) 9 января 2017 г. Are we serious now? What struggle? Are “experts” suggesting that Ayatollah Khamenei and the “conservative elite” – whatever that means, were asleep at the wheel when President Rouhani negotiated the deal of a lifetime? Would it not be more reasonable, I’m not even arguing rationality here, that Iran’s Islamic Republic sits a complex religious and socio-political symbiosis which makes space for flexibility and adaptability. Hence policies will move according to the tide while remaining true to the spirit of the revolution? I hate it to break it to you mainstream, but one: the Shah is not coming back, two: the Republic is doing just fine, and three: if anyone is jeopardizing the nuclear deal it is Washington. One more thing before I take my leave. Washington’s temper tantrum is really directed at the newly emerging Asian Block: Russia, China and Iran. In between BRICS and the Shanghai Agreement, the US is feeling increasingly isolated and may I just say: redundant. Neocons don’t like being outmaneuvered see.